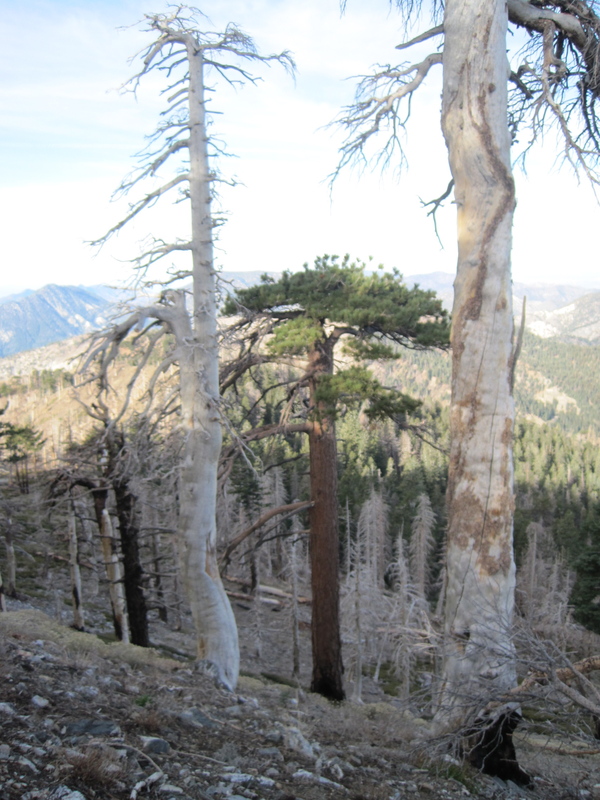 dawson saddle to mt hawkins – WINDY! 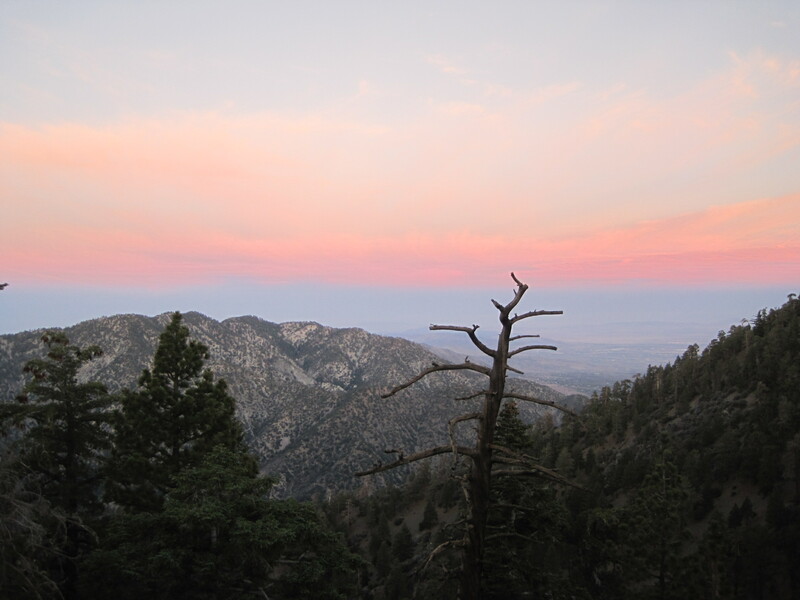 Laura and I left the Pasadena area at about 5:15am or so to get out to Dawson Saddle, with the intention of hiking to the summit of Mt Hawkins… while, simultaneously, observing the sunrise. Mission accomplished. Laura and I have been hiking together, enjoying the outdoors and working towards increasing her hiking endurance with the hope of, together, summiting Baden Powell or another similar summit. Today’s hike was about 6.4 miles round trip and she conquered it like a champ. In addition to that, the weather was less than perfect. 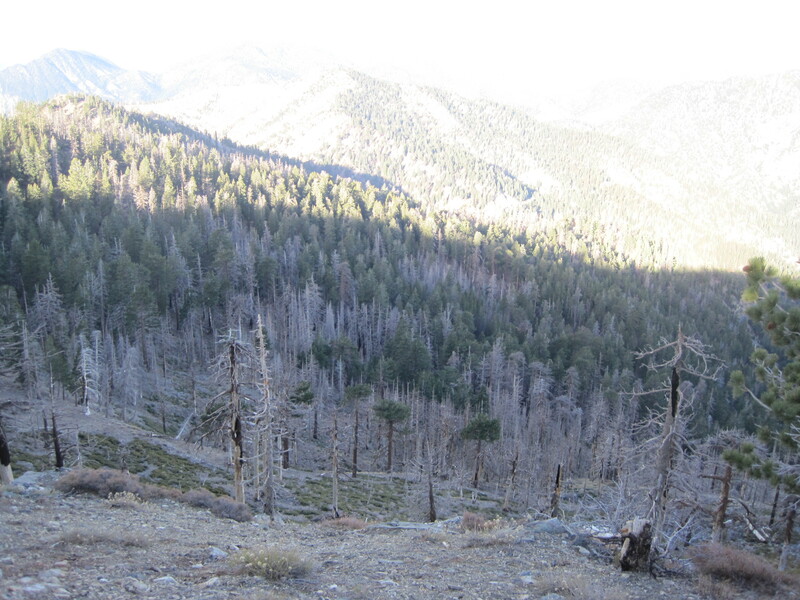 We got out of my Civic at Dawson Saddle (7900′) and, right away, we could tell the weather would be wild. 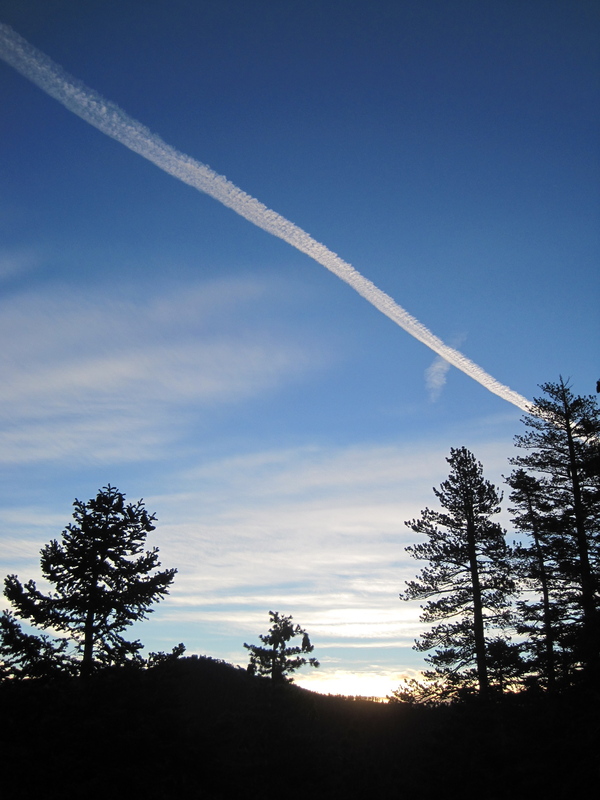 It was 43 degrees, but, even wilder, was the windspeed. The Santa Ana’s were in full intensity up there, probably sustained winds of 40mph with gusts in the 50’s and low 60’s. It really was insane. 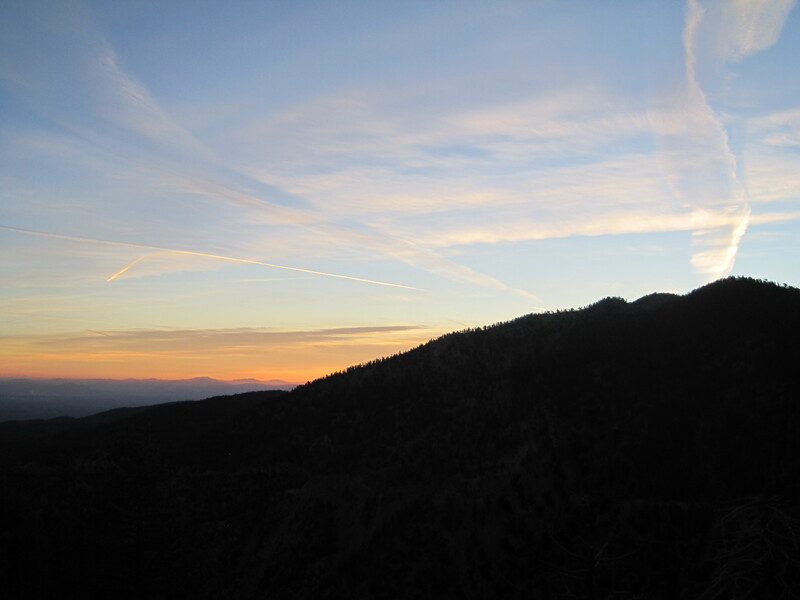 However, we observed an INCREDIBLE sunrise (see pics). 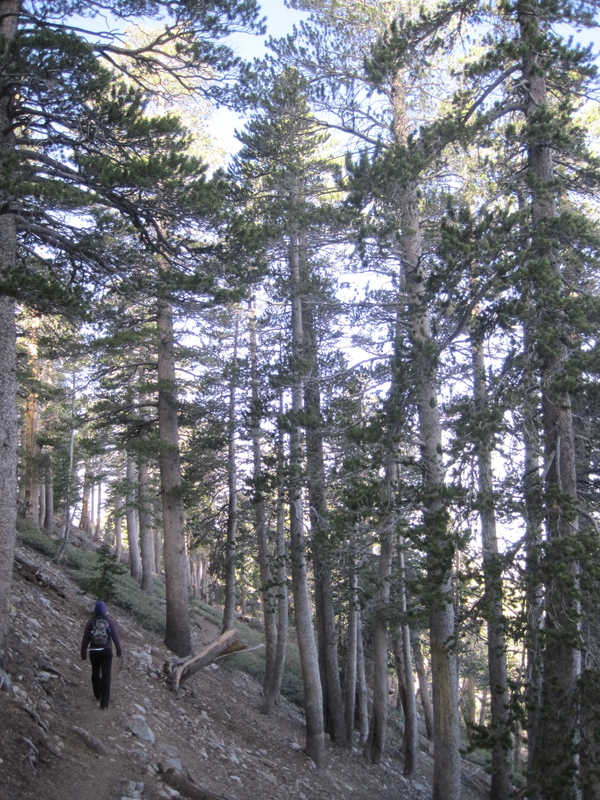 Laura fought through the cold and the unfamiliar altitude to fight on. 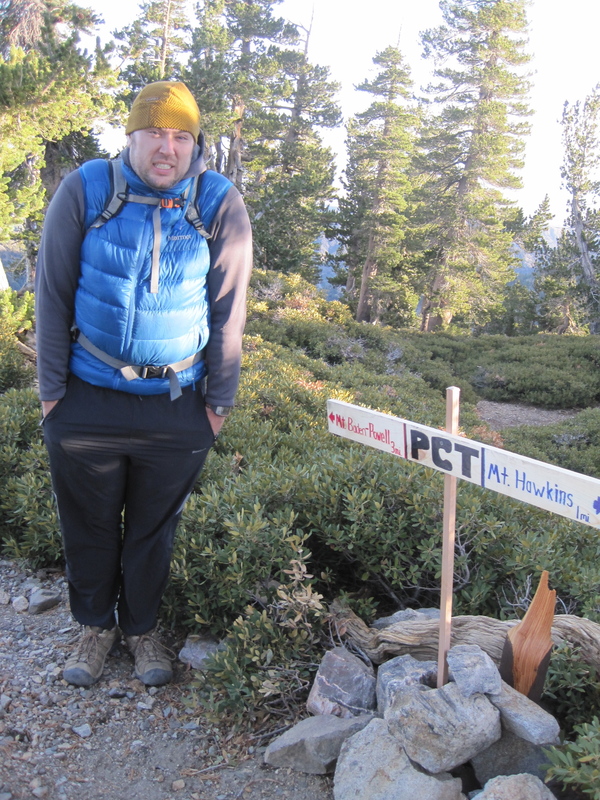 We made the PCT junction (2 miles in) after about an hour or so. Upon arrive, the wind kicked up more, as we were now completely exposed to the south. 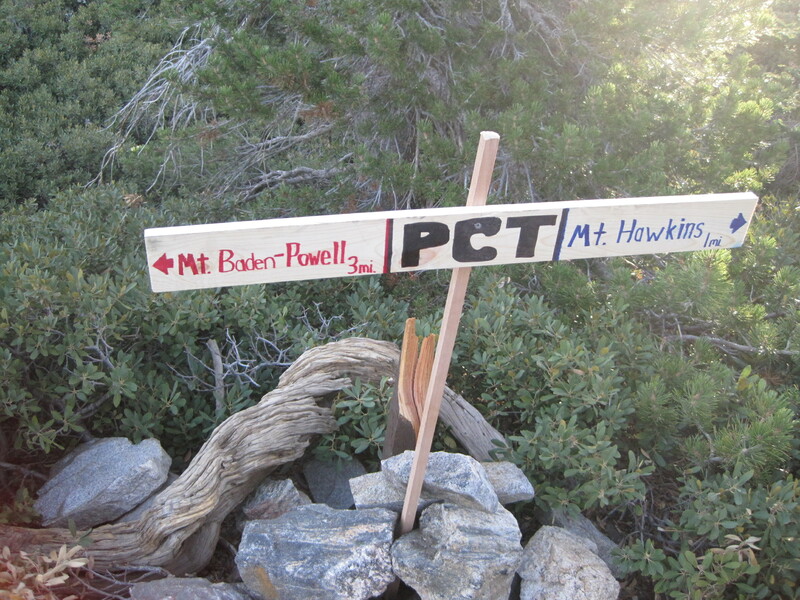 One of my missions today was to stake a new sign in the ground, denoting the PCT (the old one was cut down somehow, as you can see in the pics). We spent about 5 minutes staking the new sign into the ground and continued on towards Mt Hawkins. 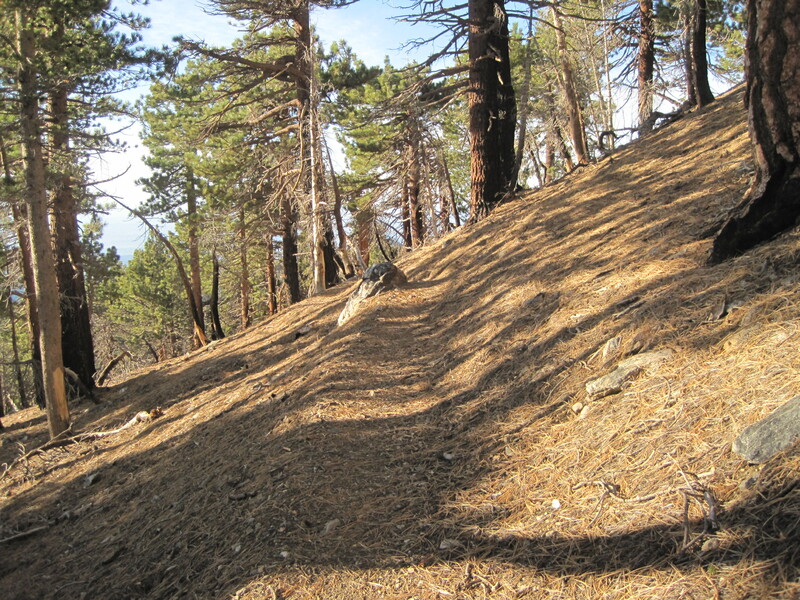 Hawkins is about another mile or so past the Throop/PCT junction. 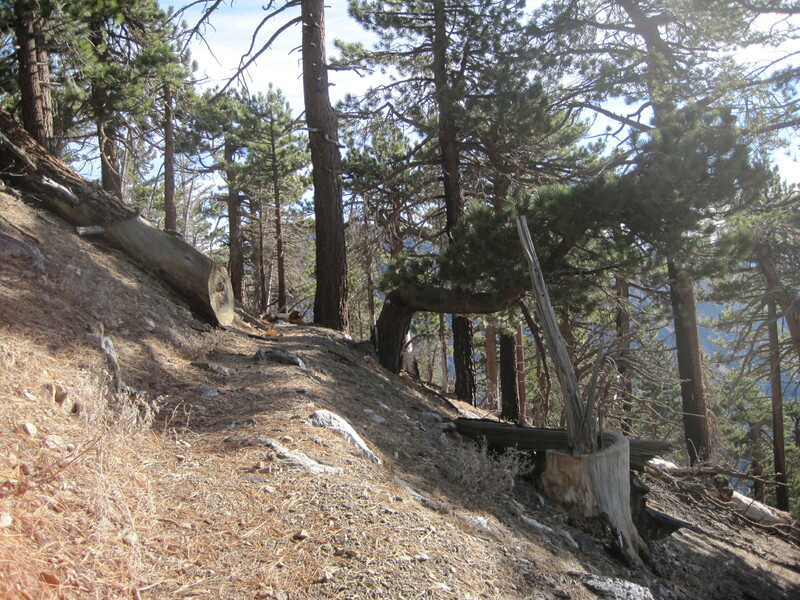 The hike was mostly flat and through beautifully fire-scarred areas. 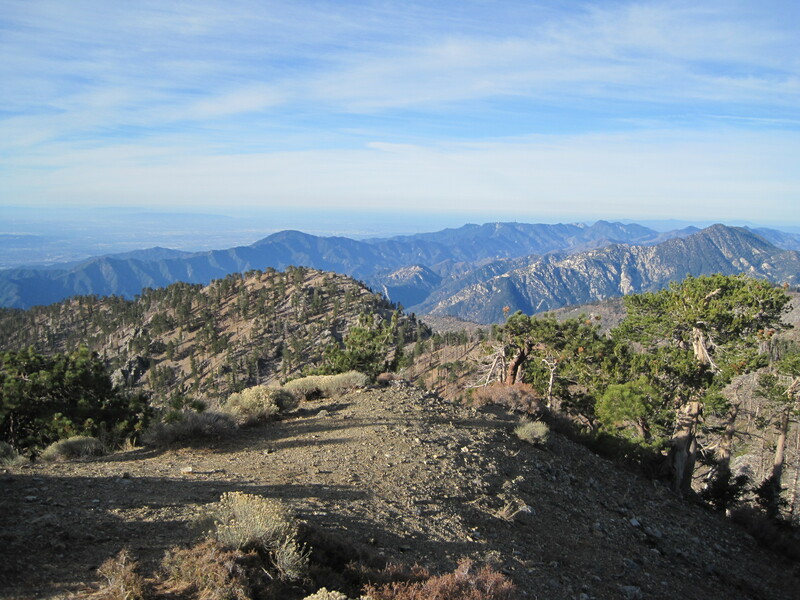 We reached the summit after about another 30 mins or so from the PCT junction. 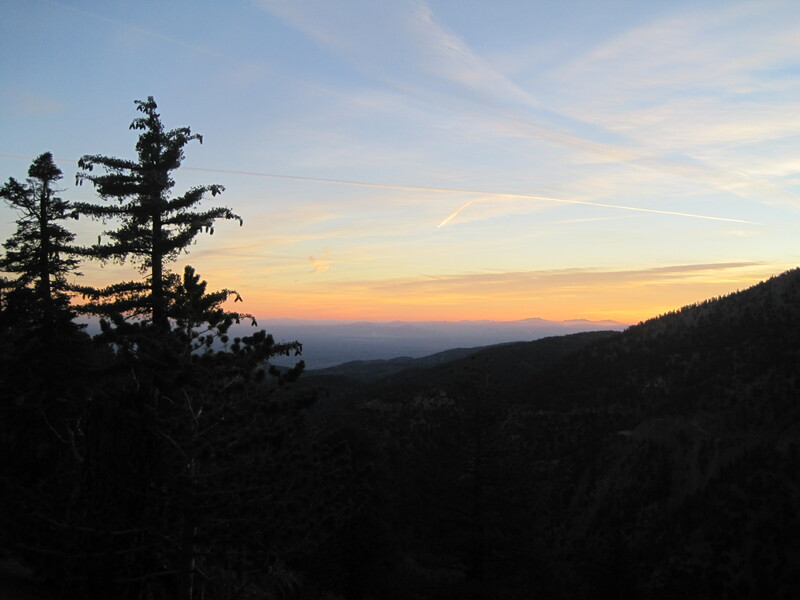 FYI – the summit isn’t clearly marked and we couldn’t find a USGS stamp. 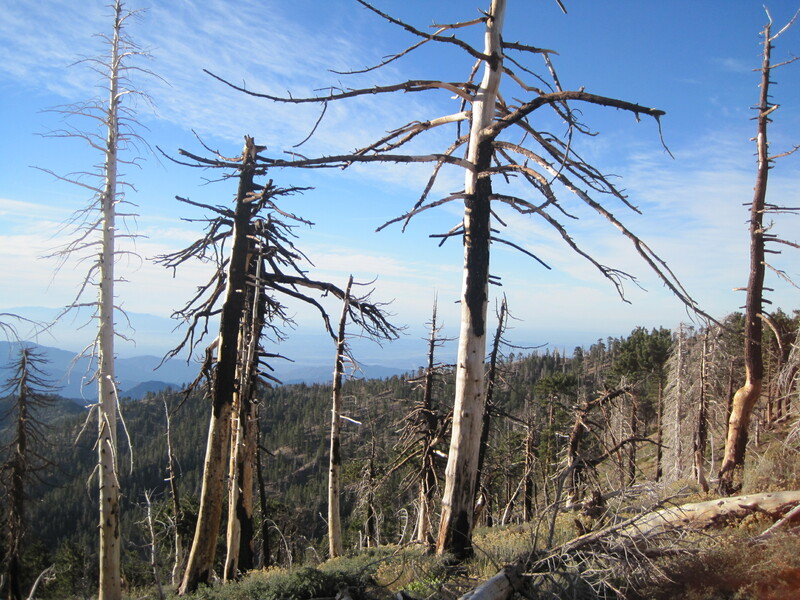 Nonetheless, the summit of Mt Hawkins is beautiful and holds amazing 360 degree views of the ANF. We departed after a couple minutes up there and returned back to the car after about another hour and a half. One thing about this blog that I am going to start doing a better job of: talking about gear reviews, experiences, nutrition, etc. I tried out a new workout food, today -Honey Stinger’s waffles. Honestly – AMAZING! Seriously, amazing. I like Honey Stinger pretty well and all, but these waffles RULE. Give em a shot. 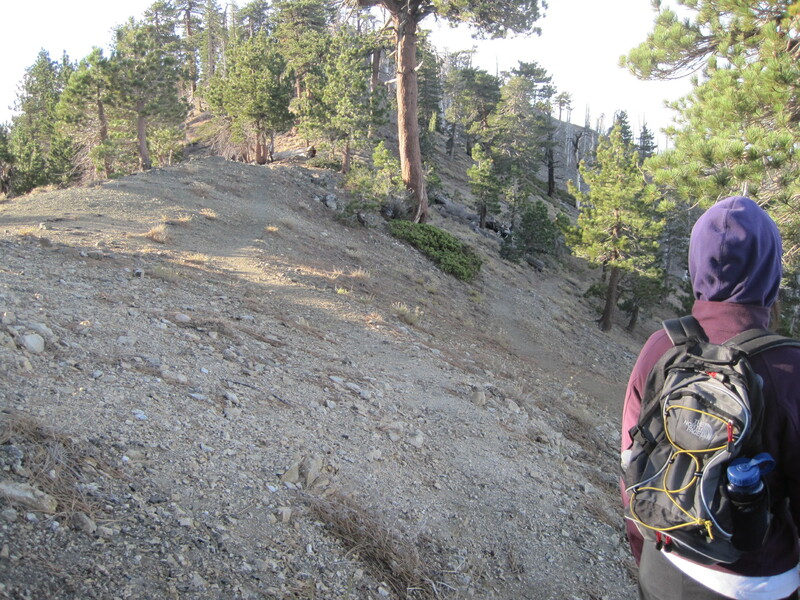 Clothing-wise, I wore a lightweight REI base layer, under an REI fleece and a marmot Zeus vest. I had a pair of lightweight running pants on, quarter length Wigwam wool socks, a pair of Keen voyageur shoes, and a typical winter hat. All to say, I was plenty warm, for the most part, even though it was COLD! My Flash 30 backpack was great, as always, but I did feel a bit cold where the sweat accumulated around the pack. Otherwise, thumbs up across the board. Here are the specs of the hike according to my Garmin 310XT (I heart my 310xt)! 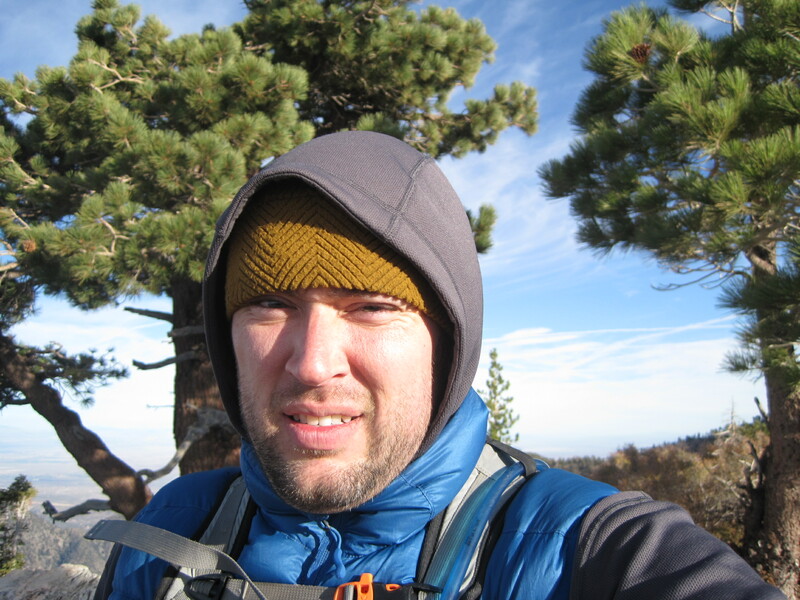 Posted on October 29, 2010, in hiking and tagged dawson saddle, mount hawkins, throop peak, windy gap. Bookmark the permalink. 1 Comment.